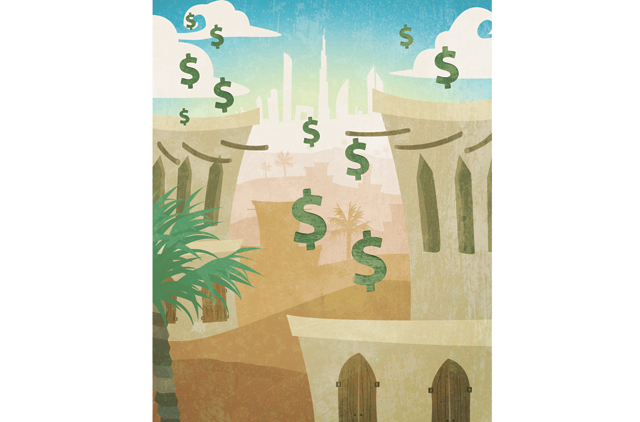 The pause in real estate markets over the past few months have given credence to the chatter that valuations in the UAE had become stretched again. Rental yields have fallen, especially at the top-end relative to their long-term average. Even though rental values have been increasing in recent months, the supply pipeline suggests pressures will ease in the coming years. This, combined with the global macroeconomics trends of inflation creeping higher suggests that the secular decline in long-term interest rates for the past 30 years is coming to and end. The next few years will lead to a higher cost of money, implying that the rate of return that needs to be generated by such assets will have to move higher. Accordingly, two important trends come to light that will come to dominate the landscape. It is prudent to examine the historical experience of more developed markets to shed light as to what will likely transpire in the city for the coming two years. An interest rate analysis and its impact on real estate prices in the US since 1880 reveals a startlingly high inverse correlation between interest rates and the rate of increase in real estate prices. More importantly, data suggests that during periods of high and rising interest rates, the rate of return generated by real estate assets is predominantly in the form of rental yields. According to Shiller.com, during the past 100 years, there were three periods of secularly rising interest rates. In all of these periods (lasting for up to a decade), 70 per cent in the rate of return in real estate assets was in the form of rental yields and not capital gains. That trend changed completely starting from 1982, when the US entered into a period of secularly declining interest rates. A rolling interest rate analysis of the past 30 years indicates that during this time, more than 75 per cent of the return generated was in the form of capital gains, as the opportunity cost of capital started to decline and asset prices moved higher, resulting in increasingly lower rental yields. In Dubai, since the announcement of freehold in 2002, rental yields have accounted for less than 25 per cent of the cumulative gains that have been generated by real estate assets. Interestingly enough, it is pertinent to note that during 2003-2005, when interest rates were on the ascent, rental returns accounted for nearly 50 per cent of the annual gains that were witnessed in the market, indicating the sensitivity of asset returns to interest rates. Given that there is a near consensus that interest rates are likely to move higher in the coming year, it comes as little surprise that both transactional activity and capital gains have paused. While many believe that the bullish trend of rising prices will resume imminently, it appears as if this period of price consolidation at the macro-level may indeed be a longer term phenomena. The second factor is the role of supply; what has been observed historically in the US is that during the time of rising interest rates, the movement of capital towards affordable housing was higher. This indicated investor preference for assets that generated higher rental yields with lower turnaround times between rental contracts. Even during the current rebound in the US housing markets, rental growth has outstripped asset growth as home ownership levels in the country have declined following the housing bust in 2007. Asset managers have followed suit nationally by buying mid-income housing at a much faster rate than at the higher strata. Even as national home ownership levels have reduced from 69 per cent to 65, mid-income housing rental yields have been 3 per cent higher than at the top end. This is a gap that has been 30 per cent higher than the historical average. In Dubai, there has been considerable analysis that suggests that housing remains undersupplied at the mid-income level. Even as home ownership levels continue to rise, there is oversupply at the top-end while rentals continue to surge at the mid-end of the market. Increasing offerings in the off-plan segment suggest that both the asset price rise as well as rental growth will be checked in the coming years. The structure of returns will increasingly flow from rental yields rather than outsize asset price growth. Interestingly enough, the rate of absorption in the various sub-communities has emerged as a critical factor in the decision-making ability of investors. As the level of price appreciation moderates, factors such as absorption will predominate the pattern of expected returns going forward and it is this is a healthy dynamic for it suggests a more sustainable era of growth as Dubai marches on towards its claim to not only being the most visited city on the planet, but also a leading magnet for attracting the best and the brightest from competing world cities. CREDIT: The writer is the managing director of Global Capital Partners.